I am loving the idea of this dish!!! I tried it today.it was awesome. Thanks Amrita. You can check my Pickle post on my blog. 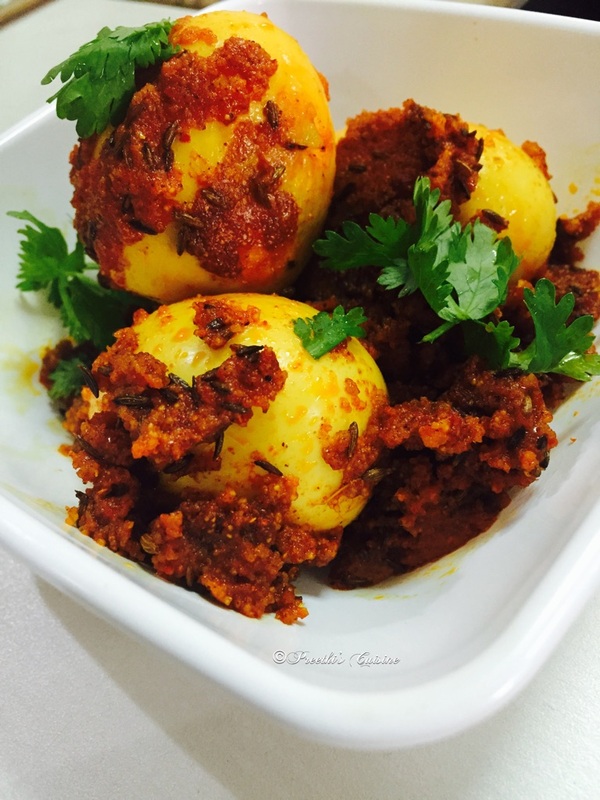 Posted the Aachari Masala recipe. Will try to make a separate post soon. 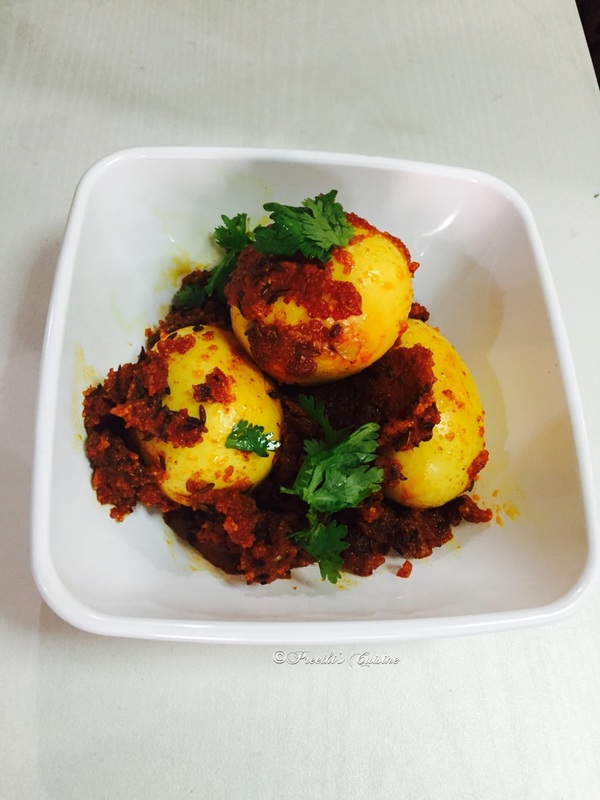 Very delicious egg preparation.. love all the achari masala recipes. Wow this is something I would never have thought of making. It looks really good! What an attractive dish – I’ve never tried this so certainly will do now. Thank you Emily. Do give your feedback whenever you try. 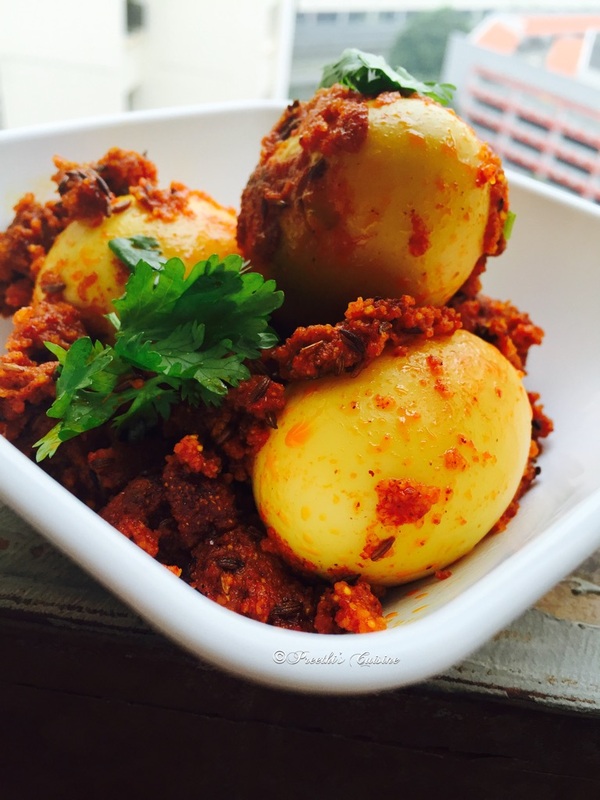 I love the gravy of this achari curry…delicious preethi!